The admissions for BCom honors 2016-2019 at Shri Ram College of Commerce came in the limelight as 110 of the 160 candidates were from Tamil Nadu alone. Of the 110 students, 50 were from one school - Bharatiya Vidya Bhavan - in Erode.This has left the college faculty and many others wondering as how can one institution produce so many qualified students. The Times of India quoted RP Rastogi, principal, SRCC, as saying, "All admissions have been done on merit." Last year, 36 of its students made it to SRCC; and the year before that the count was 28 students, Times of India reported. "Of late, Shri Ram College in Delhi and Christ College in Bangalore have been big attractions for our students," Times of India quoted NS Karthikeyani, principal, Bharatiya Vidya Bhavan. Kartikeyani further added, "SRCC is known for admissions based purely on merit and this is an advantage for us as we produce many centum scorers. Last year, the school had 162 students in the commerce stream. Of them, 53 students secured 100% in commerce, 61 in accountancy , 48 in business maths and 11 in economics." C Sribuvan, a student of the school, was quoted by Times of India as saying, "I wanted to pursue civil services after commerce and was advised to apply for this college. By the time we faced our board exams, we had taken some 20 exams and we felt best prepared." According to a report in a daily, some students were unable to answer questions asked by SRCC teachers. This seemed to concur that schools in western Tamil Nadu promote rote learning. PC Jain, who had conducted nine admission sessions as former principal of the college, said that absorption from Tamil Nadu and Kerala boards has seen a rise in recent years. Times of India quoted Jain as saying, "With Delhi University becoming an attractive proposition, education boards of other states went into competitive mode to assure admissions for their students by giving them high marks. 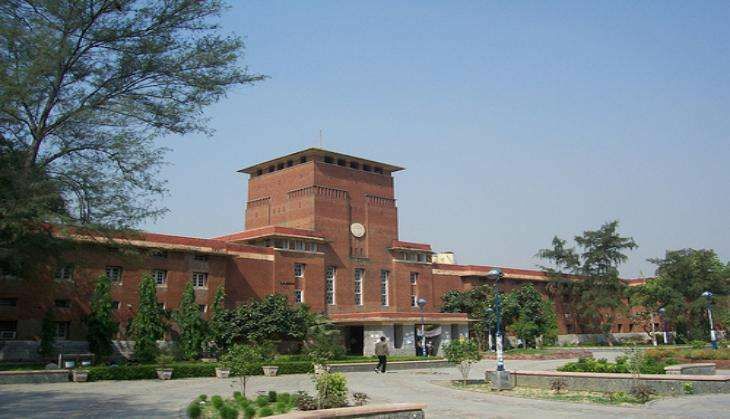 Delhi University has never rationalised the marks and all state boards are treated as equals." Focussing on the quality of education, Jain said, "As per the new education policy under deliberation, an all India test like the Scholastics Aptitude Test is under consideration for college admissions," Times of India quoted.